What is ETHOS English School? We are an American family business located in the Philippines. We are a language school. We offer American English with American native-speaker teachers. 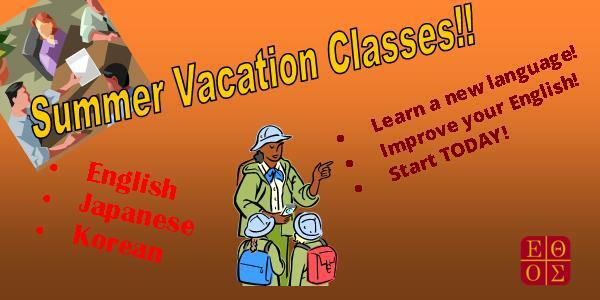 We also offer Japanese classes. So far, we’ve had students from Canada, China, Iran, Italy, Japan, Korea, Laos, Malaysia, Philippines, Russia, Saudi Arabia, and Spain! Come to ETHOS and study American English without the high cost of going to the USA! ETHOS Wins “Best Foreign Language School – Philippines” for 2018! We were chosen as the best foreign language school in the entire Philippines by Asia Pacific Insider magazine, a UK based business magazine. You can click here to go to their press release. You can click here to see our page on their award website. Click here to see a news article from the Cebu newspaper Sun Star! It is always an honor to be recognized, especially in situations where we are nominated by customers. Thanks for making us #1. Come study English in our award-winning program with our American teachers. ETHOS Adds a Dormitory Housing Option! We have decided to return our DORMITORY housing option, beginning April 1, 2018 – no fooling! Students rent bed space in an apartment that if fully furnished, with a complete kitchen, air conditioning, purified water to drink, and hot showers! The cost is cheaper than HOME-STAY, and students can cook in the dorm! So if you want to study with us but you are on a budget, please consider staying in our dorm. It is safe, and only a couple of minutes walk from the front door of the school! ETHOS Secures NEW Contract to Conduct Phone Classes for TURCK Korea! In mid-2017, ETHOS secured a 6-month contract with a Korean company, TURCK Korea, to provide daily 10-minute phone classes to all company employees! At the end of the contract, December 2017, the company decided to renew for an additional year, six months at a time! We are happy and excited to continue providing the great people at TURCK Korea with personalized English conversation lessons conducted by our American teachers! ETHOS offers classroom studies, as well as various online class options, which include classes using Skype, Line, WeChat. We have individual audio-only and individual or group (up to 3 students at one time) video class options. Online classes can be 10 minutes, 25 minutes, or 50 minutes in length and we can meet daily, or as many times per week as needed. Students purchase online class time in 100-minute blocks. The more of these 100-minute blocks you purchase at one time the more money you can save! ETHOS Expands to China and Russia! 2018 began more than just a bang to ring in the New Year! ETHOS inked contracts for representation in two additional countries: China and Russia. This brings to four the number of countries where ETHOS now has a dedicated marketing presence, which adds considerable BANG to our expansion efforts! We want to extend our reach to as many countries as possible! It is exciting to think of future multinational classes made up of students from Japan, Korea, China, and Russia, learning English from American teachers and sharing friendships and cultures with one another! Wow! You can go to the Russia website by clicking here. ETHOS Upgrade for English Program! ETHOS wishes to thank all who have recently asked about our English study programs. We are honored that you are interested in our school. We are currently upgrading our programs to make your study experience even better! Unfortunately, this process will require us to stop receiving new study reservations for a few days. We apologize for this inconvenience. We will begin accepting new reservations for study on May 19th. In the meantime, contact your local ETHOS office if you have any questions. Thank you for your patience! 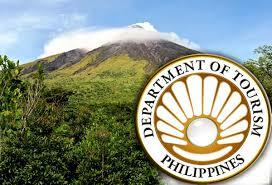 ETHOS now accredited with Department of Tourism! 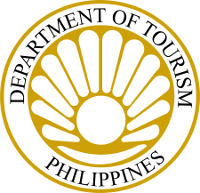 UPDATED: For the third year now, ETHOS has the Philippine Department of Tourism accreditation! ETHOS continues its commitment to maintaining full accredited with all government agencies so that we provide quality services to foreign tourists wanting to visit and study English in the Philippines. You can trust ETHOS because we are TESDA, BID – SSP, and DOT certified! ETHOS Now Has BID – SSP Accreditation! ETHOS Corp received Bureau of Immigration Accreditation! Today we passed our Immigration inspection and now are permitted to receive foreign students through the government’s Special Study Permit (SSP) program. ETHOS is now TESDA and BID – SSP certified! SUMMER Classes Begin May 2! To ALL of our friends in Cebu City! Want to start a journey toward learning a new language? Want to improve your English? We are offering courses in English pronunciation and conversation with American teachers, introduction to basic Japanese, and introduction to basic Korean, taught by a Korean teacher! Contact us NOW for more details. Hurry because seats are limited! WOW!!! In the last quarter of 2015, representatives of the prestigious Japanese blog site Phil-Portal paid a visit to ETHOS. They wanted to see if what they had heard about the quality and friendliness of the school was really true. They wrote a series of articles about what they found and it became one of their most popular articles. They returned earlier this month and told us about the response. They asked if they could come again and get some additional information so they could write another article. We what to thank Kouta and his crew for taking time to see our program and to experience what ETHOS has to offer. If you want more details about us, and you can read Nihongo, go check out the articles! In the last quarter of 2015, ETHOS started accepting people for internships with the company. Our first intern was Junki Ozeki, from Japan. He was with us for six months studying English and helping us with our Japanese language program. As Junki was preparing to leave, we were preparing to welcome Jo Munheyong, from South Korea. Mun will be staying with us for three months, during which time he will be studying English and helping to set up a Korean language department here at ETHOS. We are excited to have Mun with us. He is an energetic young man who wants very much to help others and he has a great desire both to teach and to learn!